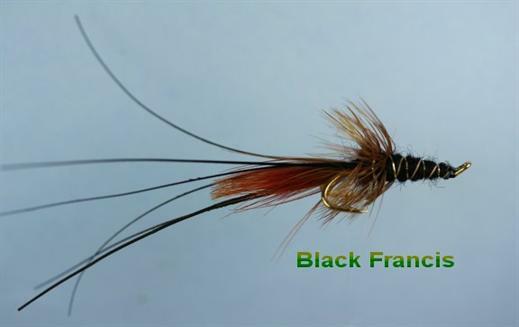 The Black Francis is one of the very successful Francis series of flies that resemble shrimps which are such an important food source for Salmon throughout the year. It is a deadly pattern that is best in slow moving water, especially in eddies and below waterfalls and is very effective with Atlantic salmon when fished across using short, twitching pulls. Currently there are no comments about the Black Francis fly pattern from other fly fishermen yet.